Co-founders Matthew Callison and Tiffany Roman of Round3 (Formerly Critique). Co-founders Matthew Callison and Tiffany Roman were featured by the Crimson Catalyst about Round3 and its ability to streamline peer feedback. View a short interview clip and learn more about the history and development of Round3 through the link below. 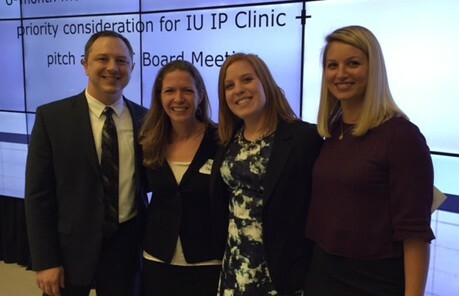 (L-R) Critique co-founders Matthew Callison and Tiffany Roman, former Bloomington Technology Partnership Director Katie Birge and Dana Palazzo, vice president of the Bloomington Economic Development Corp.
Have you ever wondered how Round3 came to be?